4 October 2017 Unlocked content from the archive. 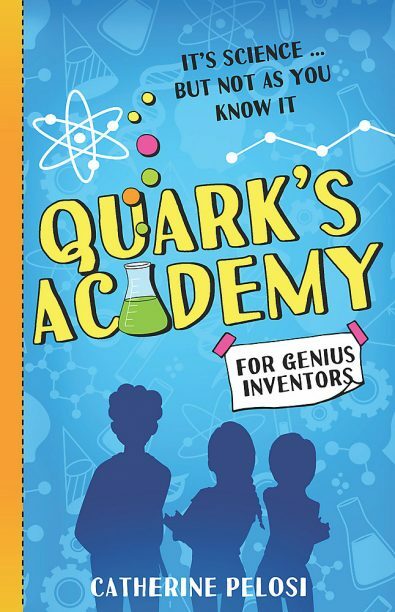 Once a year the prestigious and mysterious Quark’s Academy admits 15 exceptional young scientists for a week’s study that will culminate in the Best Invention Competition. This year’s batch of contenders include soft-hearted Augustine (engineer and environmentalist), pragmatic Celeste (particle physicist and time-travel buff) and troublemaker Oscar (fart bombs). Their acceptance into Quark’s Academy is a dream come true: the opportunity to experience firsthand the new technologies and discoveries that are at the cutting edge of scientific development. But after a class in gene-splicing goes awry, it becomes clear that there’s something suspicious going on at Quark’s Academy, and it’s up to Celeste, Augustine and Oscar to uncover what it is. From the futuristic travel capsule that transports the students to the chemical compounds that enhance memory, the scientific principles of Quark’s Academy toe the line brilliantly between science-fiction and reality. Catherine Pelosi’s Quark’s Academy is an engaging and entertaining debut for readers aged eight and up with an interest in STEM—or those who just love a well-paced adventure story with fantastical elements.